Siring foals that are big… beautiful… with highly trainable minds! 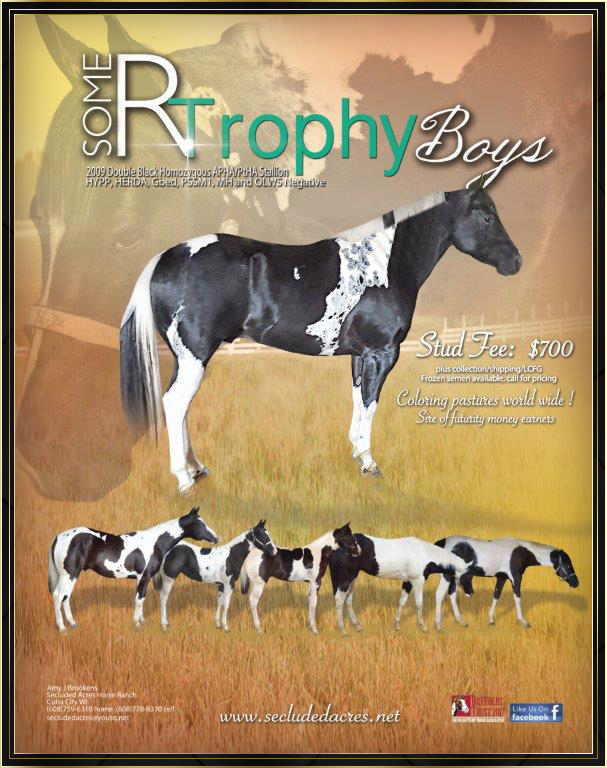 Like Father Like Son.... Secluded Acres Horse Ranch is now offering "Some R Trophy Boys" at stud. His sire "Some R Unique Shadows" was laid to rest due to an injury. Although he will be greatly missed... his son will be just as nice if not nicer! 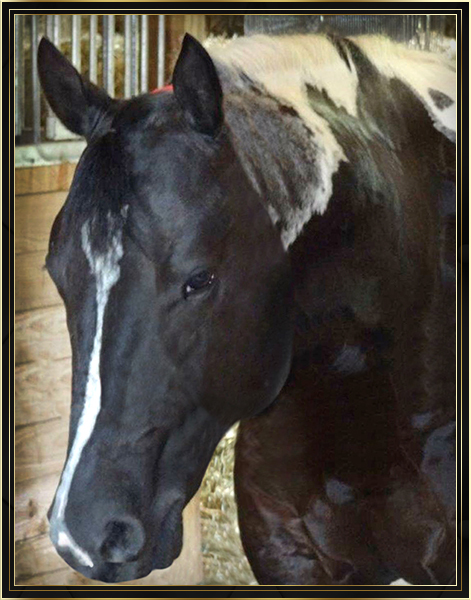 "Shadow" foaled May 20th, 2009, and is a gorgeous double black homozygous stallion (EE, TT). 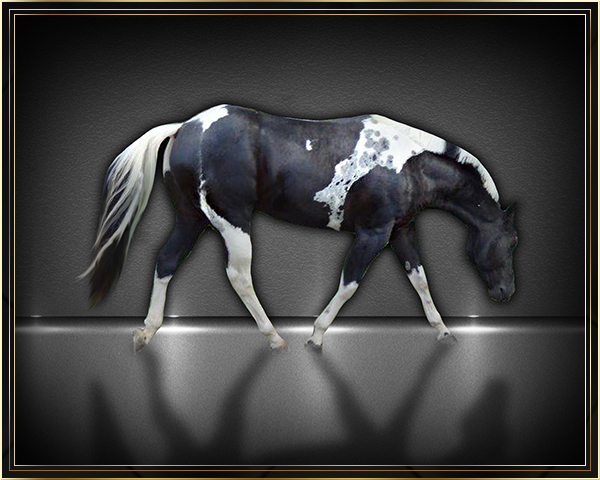 He is homozygous for the black gene and homozygous for the tobiano gene. This means he will never produce a red colored foal, all his foals will be of the tobiano pattern, and with true black points. Shadow is simply stunning from any angle. He has the prettiest paint pattern and sweetest disposition I have ever seen in a stallion. With his superb conformation, color and movement... he without a doubt... will meet the high demand of what is expected in today’s horse industry. Shadow has began his show career. With limited showing he has earned 40 PtHA halter points in just a couple shows. Shadow placed 1st and 2nd under 4 judges in the Tobiano Color class. I truly believe Shadow is a champion in the making. 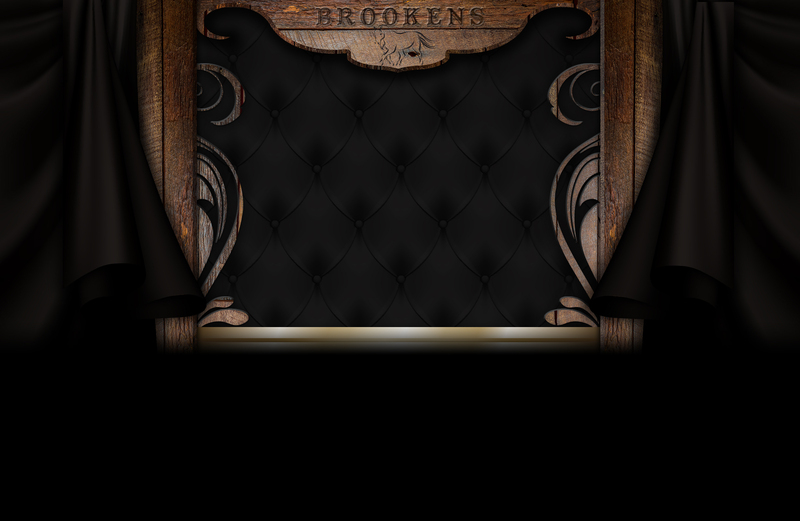 His impeccable bloodlines include the following Champions, Performers and Point Earners. Some R Set sire of APHA Point Earners, Performers and sire of A Summer Breeze, who is a 1990 APHA Champion, Top 10 Performance horse at the 1991 World Show, 18 APHA Lifetime halter points, 9 Grand Champions, 5 Reserve Grand Champions, 127 APHA Lifetime Performance Points, 7 ROMs in 7 events, ROMs in Halter, Hunter Under Saddle, Hunter Hack, Trail, Working Hunter, Western Pleasure and Points in Western Riding by; Dixie's War Drum 37 APHA Lifetime Performance Points, ROM Western Pleasure, Points in Halter, Hunter Under Saddle, Hunter Hack, Heeling Trail and Western Riding. 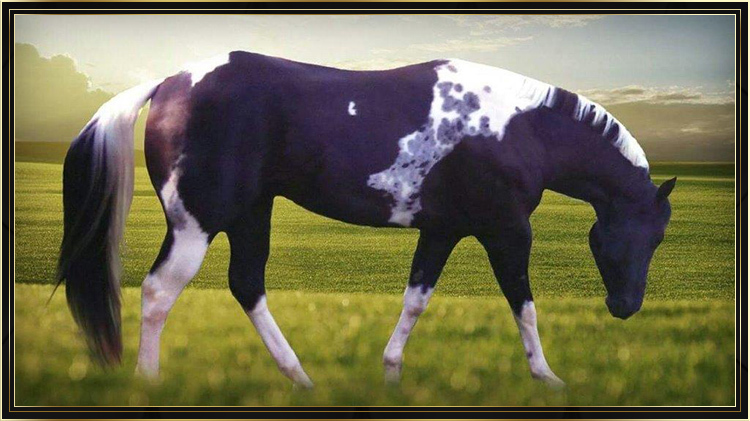 One of APHA’s All-Time Leading Sires, APHA National and Reserve National Champion Sire, APHA World Champion Sire, Versatility Award Sire, Superior Performance Sire and Halter Point Earner Sire. Bucks Bandit Reed 12 Grand Champions, 11 Reserve Grand Champions, 11 ROMs, 101 Halter Points, 550 Performance Points and Versatility Award. 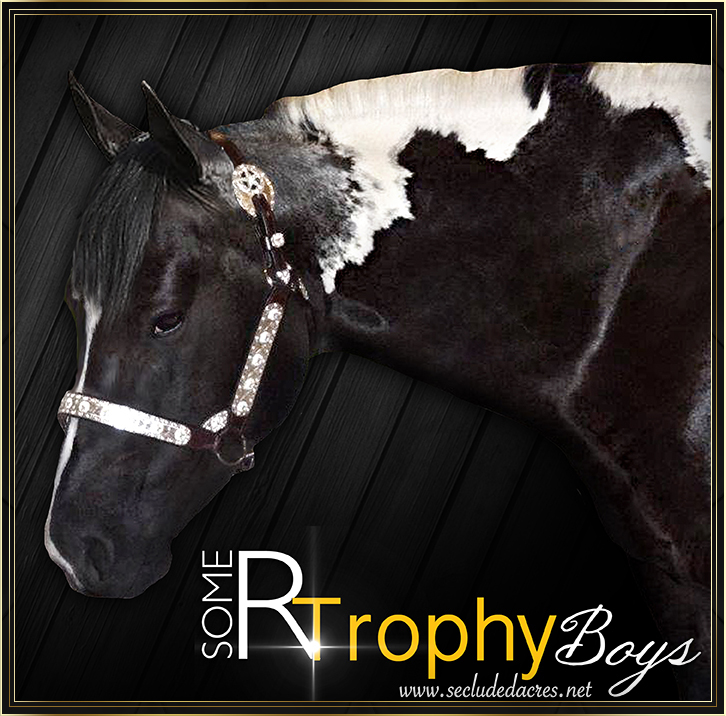 Spooks Trophy Boy APHA points in Halter and Race Money Earner. 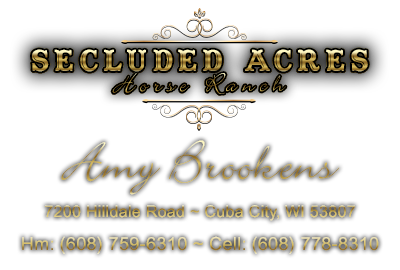 Produced Superior Trail and Western Pleasure, and produced the "first homozygous mare". He also has over 600 colored foals and sire of; Scootin Spook 5 Grand Champions, 8 Reserve Grand Champions, APHA Champion and 24 Performance Points. Tinkys Spook; 1970 Champion, 10 Grand champions, 3 Reserve Grand Champions, 21 Halter points, ROM in reining, Sire of APHA Champion, Supreme Champion, Supreme All-Around Champion, Sire of Champions and Performers in almost every APHA events. Lucky Straw; 1975 APHA Champion, 1977 APHA Reserve National Champion at halter, 1979 Supreme Champion, 122 Halter points, 34 Grand Champions, 13 Reserve Grand Champions, Superior Halter, 72 Performance points, 5 ROMs and sire of 8 APHA Champions. The Cash Button sire of winners earning 4 open Halter Points, 2 Grand Champions at Halter. At the 2004 World PtHA Show he sired the Supreme World Champion Color Horse, The Champion of Champions and the 2004 World Champion Yearling Gelding. His sire; CR Black Buttons is the sire of 165 foals with 7 Performers earning 24 Halter points, 55 Performance Points, 2 Show ROMs and 1 Superior at Halter. His sire; MK’S Black Pepper has 1 Grand Champion, 3 Reserve Grand Champion. He sired 256 colored foals with 20 Performing; 1 APHA Champion, 9 Show ROMs, 97 Halter and 183 Performance Points earned. Midnight Cash sired 176 foals, 4 Performing, 425 PAC Points, 3 Halter and 10 Performance points. Skip-A-Bert is a full brother to 3 Performers and out of... Hank-A-Chief, 1969 tobiano stallion that sired 473 foals and one of the most popular sires of his day. 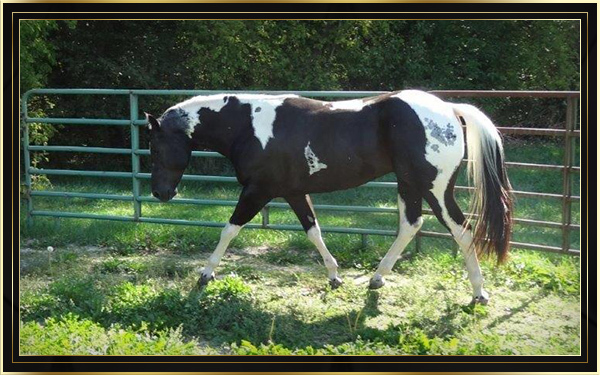 He is APHA all time leading sire, APHA Champion sire and APHA Foundation sire. 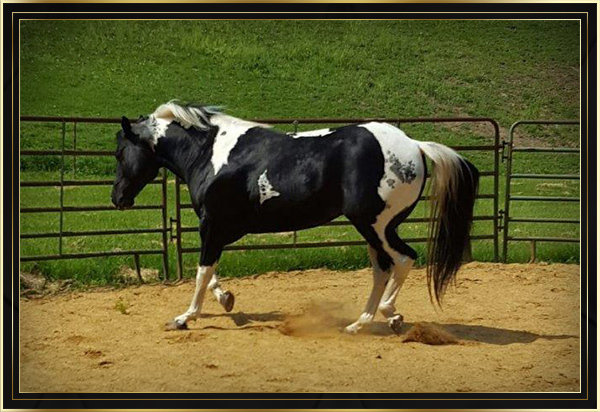 His offspring include 26 APHA Champions, 6 Versatility Champions, 151 ROM earners, earning a total of hundreds of APHA sanctioned points in a variety of areas, including halter, hunter hack, barrel racing, western pleasure and others. His dam "Cherokee Maiden" was the 1963 APHA National Halter Champion. Shadow is drop dead gorgeous. If you are looking for that outstanding stallion to be very versatile, with a big hip, long neck and with that people loving attitude... then look no further! We are excited to announce that Shadow has a son in Thailand. He will be shown at halter now and stand at stud when he is three years old. Great news... Shadow now has a second son standing at stud in Beijing China.